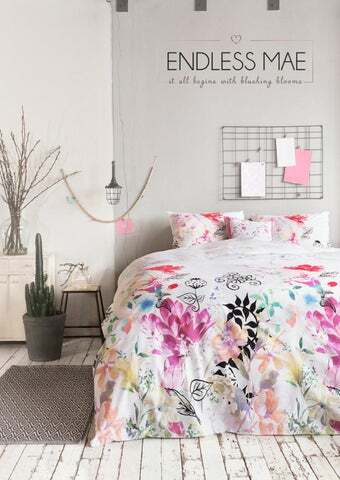 Brand Soft pastels, dreamy patterns and utopian prints: Bring the Spring breeze into your home all through the year. Inspired by the Japanese blossoms, which symbolizes the arrival of spring worldwide, the Endless Mae takes you on an adventure. 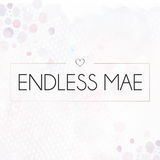 Endless Mae is a contemporary mix between freshness and comfort. A refreshing combination which becomes a magical veil than turns your home into a pastel-colored picture. Blushing Blooms collection The infinite spring breeze in your interior. Thanks to this on-trend Endless Mae collection, your interior will change into a pastel-colored paradise. In the Blushing Blooms collection you will find a colorful combination of sky blue and soft pink shades, interspersed with intense fuchsia and turquoise. Watercolor plays the leading role in this dreamy spectacle, in which romantic floral patterns are altered with pastel-colored explosions. The collection of Endless Mae gives the feeling of that first spring walk with warm sun rays that caress your skin. The view? A vast landscape of heavenly flowers and romantic blossom petals. Vision The goal is to offer a wide range of spring-like home essentials, cosmetics, paperware and much more, which feel like a great gift to have and give. A R T. N R.